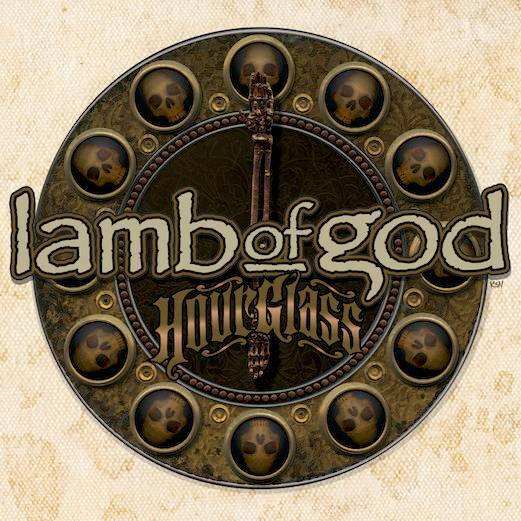 Games Meet Metal: Lamb of God's clock says it's time to buy more stuff! The ultimate Lamb of God retrospective. 44 tracks on 3 CDs. Vol 1 and 2 join Vol 3 containing 18 rare or never heard before songs. Included are Japanese issued bonus tracks, multiple rehearsal demos, along side the 8 songs recorded prior to Burn The Priest. All 6 Lamb of God Studio albums for the first time on 180 Gram vinyl in a Linen-wrapped collector’s box. Includes Burn The Priest, New American Gospel, As The Palaces Burn, Ashes of the Wake, Sacrament, and Wrath. All 6 Lamb of God studio albums on individual USB drives in a cigarette box shaped collectors package. Includes Burn The Priest, New American Gospel, As The Palaces Burn, Ashes of the Wake, Sacrament, and Wrath. The collectors set including The 3 CD Anthology, The Vinyl Box set, The USB Box Set, and a Linen bound 144 page book of the art of Lamb of God as created by K3n Adams including designs for tour passes, albums, t-shirts, and his commentary on them. The limited edition definitive collectors set including The 3 CD Anthology, The Vinyl Box Set, The USB set, the Book, a Mark Morton Signature Series Jackson Dominion D2, A 4’x6’ Pure American metal Flag, an Hourglass sticker, and a signed 8x10 in a personalized Lamb of God Coffin Case. Holy, mama jama! Honestly, I don't know who's got $1000 bucks sitting around to buy that last set, but I'll bet that of someone does, then he's already bought all the band's cd's as it is. Still, there are a few superfans out there who might end up ponying up the money anyway. Hell, if I had the loot, I might of done it, but it looks like I'll be regulating myself to the 3-cd package, thanks to the promise of unheard tracks. Plus, I just gotta get me a black Wii, so, ya know, priorities. I am a little iffy about the USB sticks, though. Most anyone who's bought a LOG album in the past has already burned them to their computer, thus having another digital version of their entire career a little useless. However, we haven't seen said USB sticks yet. Maybe they are solid gold and give incredible blow jobs. Who knows.